received an income of $50 a year. than anyone else," Spencer said. a little settlement called "The Grove". someone who had already visited the new Territory of Wisconsin. foes of the Fugitive Slave Act of 1850.
he expected to visit his brothers. was on his way to Wisconsin, he was very surprised to meet George. glowing that it was not long before a fourth brother, Hiram arrived. and their mother and father had settled in the new community. George married Elizabeth Campbell Spencer on November 22, 1849.
wedding day, George had nearly completed a small house, 14 x 22 feet. respects to all and write me as soon as you receiving this. Yours, G. F.
George gave up shoemaking altogether. citizens to hear speakers who favored the abolishment of slavery. Booth a hero to abolitionists, and a sought-after speaker. "Free Soil" ticket candidates at every election. slave laws and the freedom of those kept in slavery. Slave laws were imprisonment and a fine of one thousand dollars. 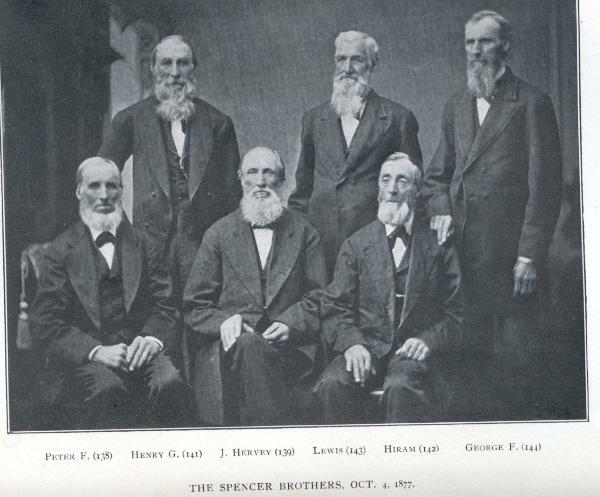 that I was answerable to a higher law than the one then in force,"
even to let my own brothers know of their presence," Spencer recalled. some part of the house,". fugitives and the end of slavery after the Civil War. industrial wrongs and political corruption." thousands of pounds of cheese. selling wanted to break up the railroad and warehouse monopolies. "strenuous advocate" of what he believed was for the public good. was well informed on all economic and political questions of the day." Booth, editor of the Milwaukee abolitionist newspaper.